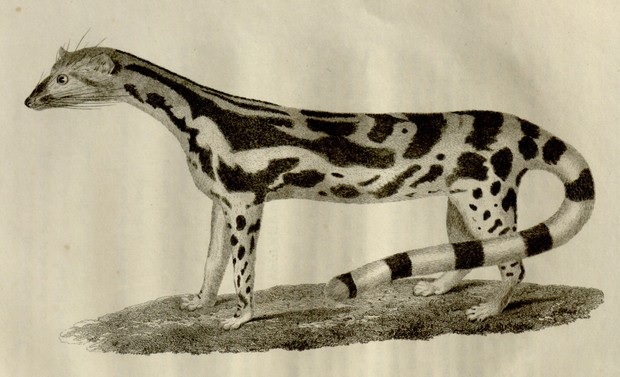 Banded linsangs are creatures that have commonly been referred to as civets, but both linsang species from Asia are actually a sister group with felids. They are the closest thing to a cat that isn’t a cat. This depiction was made by John Curtis, who never saw one alive. The only one he ever saw a specimen collected on the Malay Peninsula by Major-General William Farquhar. The real animal is actually quite a bit more stunning. on September 4, 2015 at 9:32 pm M.R.S. 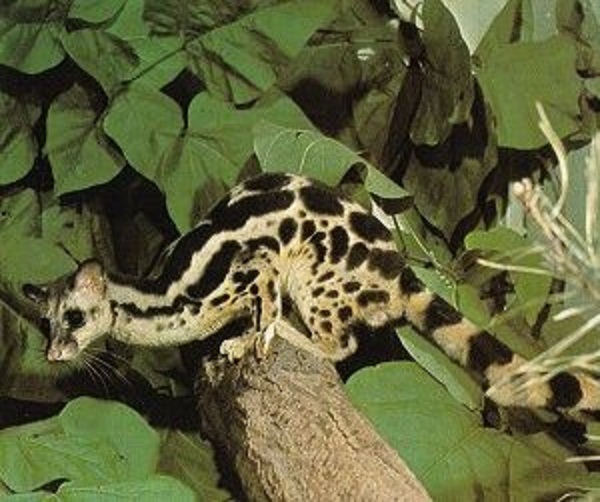 Looks rather like a civet-mongoose blend. . They are Feliforms, but they aren’t Felids. A cat as seen thought the eyes of El Greco.